The Veterans Medical Marijuana Safe Harbor Act, introduced by Democratic senators Bill Nelson (FL) and Brian Schatz (HI), and the Veterans Equal Access Act, introduced by Rep. Earl Blumenauer (D-OR), would allow Veteran Affairs (VA) physicians to recommend medical marijuana to veterans in the 32 states (and Washington, DC) where it’s legal. Out of the more than 18 million veterans living in the U.S. today, more than nine million are annually served by VA hospitals. Unfortunately, thousands of those veterans go unseen and underserved every day. I watched first-hand as my partner, a disabled veteran, waited for more than a year to be processed and seen by a mental health specialist and approved for physical therapy after his honorable discharge from the U.S. Navy. There were days when he was in so much pain from his service-related injury that he could barely walk and was constantly visiting the local VA hospital during that long year; since then, he’s been prescribed several different medications for his ailments. But what if the best medicine for those ailments is marijuana? A recent American Legion poll found that nearly one in four U.S. veterans of the Armed Forces self-reported using marijuana to treat a mental or physical ailment, which is a much higher rate of use when compared to the general population. Despite medical marijuana becoming increasingly available in states across the country, this self-medicating is often done illegally and leaves veterans at risk of arrest and incarceration for simply trying to deal with service-related ailments that the VA has not managed to alleviate. 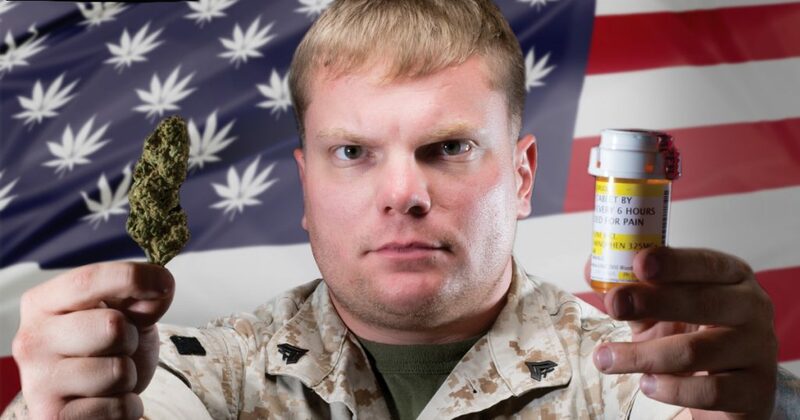 One in four U.S. veterans self-report using marijuana to treat a mental or physical ailment. Despite medical marijuana becoming increasingly available in states across the country, this self-medicating is often done illegally. Though the VA currently allows its physicians to discuss medical marijuana with veterans, they can’t recommend it or help veterans complete paperwork for participation in state-regulated programs because of cannabis’ continued federal status as a Schedule I drug. The Veterans Medical Marijuana Safe Harbor Act would fix that. Forcing Congressional action on allowing veterans access to marijuana is an important first step to providing medical equity for those struggling with service-related ailments. Prioritizing the health and well-being of all veterans, regardless of their state of residence or socio-economic status, is of paramount importance to our country’s social fabric. Congress should support our troops by giving them equal access and the ability to choose the medicine they need and deserve. The post American Veterans Desperately Need Legal Access to Marijuana appeared first on Freedom Leaf.